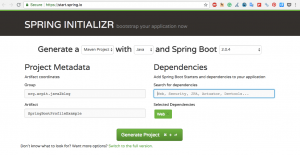 In this tutorial, we will see about Spring boot profiles. Application development is complex process. You might have different environment for application development. We require different configuration based on the environment. For example: Using a different database or different queues. 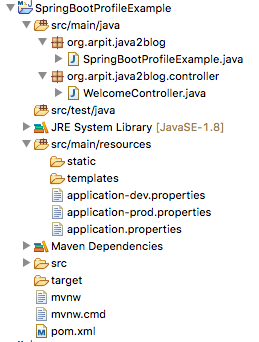 Step 4: Put “message=java2blog” in application.properties. As you can see, we are able to fetch “message” from application.properties. 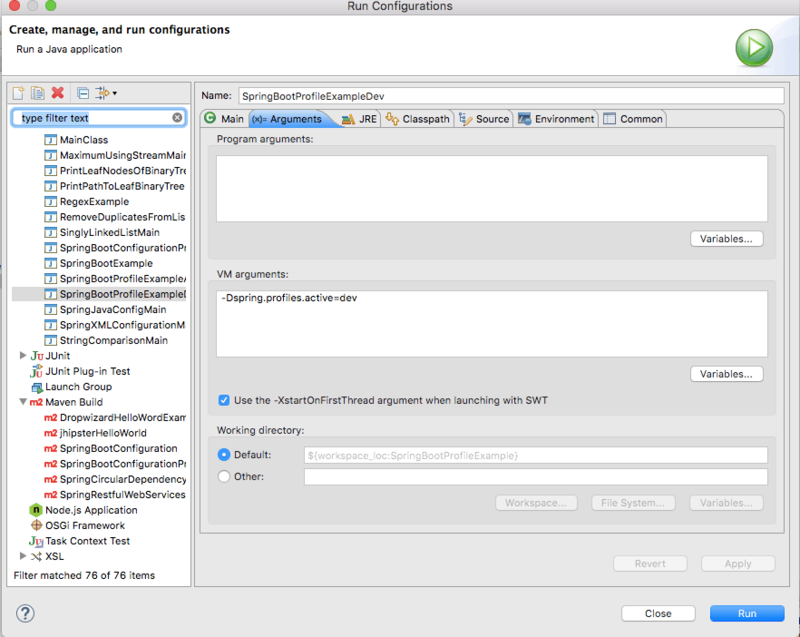 Let’s configuration two profile- “dev” and “prod” for demonstration. You need to create .properties file with application-“$ProfileName”. For dev profile, you need to crate “application-dev.properties”, so whatever you put in application-dev.properties, it will override properties from application.properties. Suppose you need to start qa profile at port “8081”, you can put following entry in application in “application-qa.properties”. Let’s create two properties file for our application. When you run spring boot application, you need to set active profile. There are multiple ways to set active profile. Let’s run the application with dev profile now. We will put spring.profiles.active=dev in VM arguments and click on run. When you run the application and browse http://localhost:8080/welcome”. You can use @Profile annotation in java configuration to create profile based configuration. That’s all about Spring boot profiles.